ca 490 - 480 B.C. 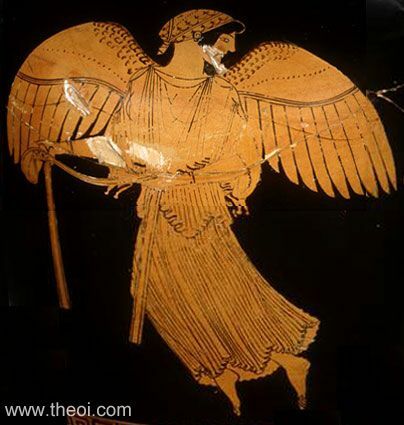 A winged Nike (Victory) flies bearing a victor's sash in her hands. This image is a montage of two photos of the vase.